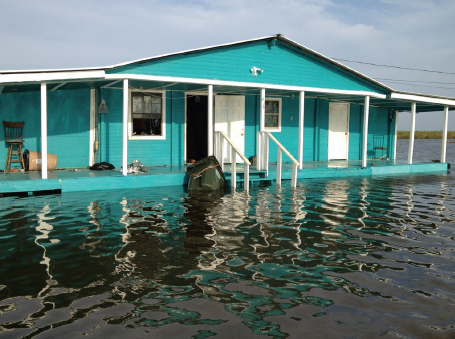 ​Louisiana’s coast is sinking. 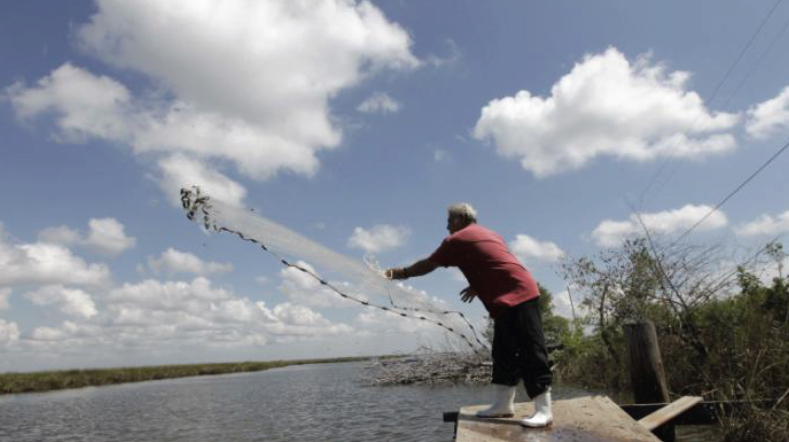 Levee alignments have prevented overflow from the Mississippi River from replenishing the delta with new sediment while an immense web of manmade canals allows salt water to creep up the bayous, killing marsh plants and intensifying erosion throughout the region. Global sea level rise also contributes to the loss of land, which, in southeast Louisiana, occurs at a rate of more than a football field every hour. 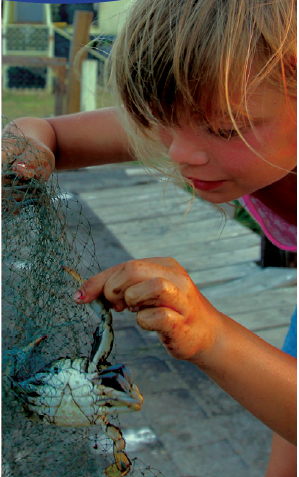 To learn more about the coastal restoration efforts in Louisiana, visit The Coastal Protection and Restoration Authority and the Barataria-Terrebonne National Estuary Program. 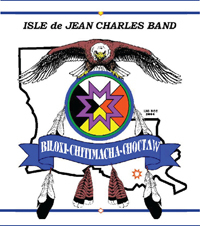 The Isle de Jean Charles band of Biloxi-Chitimacha-Choctaw Indians has lived off the land and waters surrounding the small island of Isle de Jean Charles in Lower Terrebonne Parish since the 1830s. 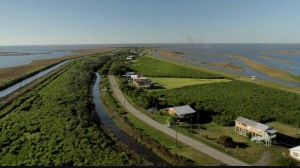 In 1955, The Island, as we call it down the bayou, consisted of more than 32,000 acres, enough to farm, trap, and offer some protection from storms. Erosion caused by saltwater intrusion, subsidence, and sea-level rise have left only 320 acres. More than 98% of Isle de Jean Charles has been lost, making the tribe one of the most threatened coastal populations of Native Americans in the continental United States. Moreover, the only road off the Island floods regularly and was under reconstruction from 2008-2011, which made it difficult to get kids to school, obtain emergency services, deliver supplies after storms, and caused a number of other challenges for life on the Island. Despite increasingly high tides and erosion, more severe storms, and rapidly sinking land, the road will not be repaired again due to the high cost. 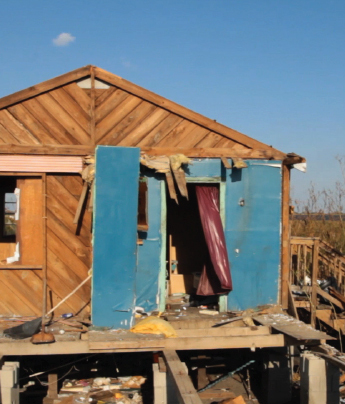 Many families have already left the Island and with every storm more are displaced. 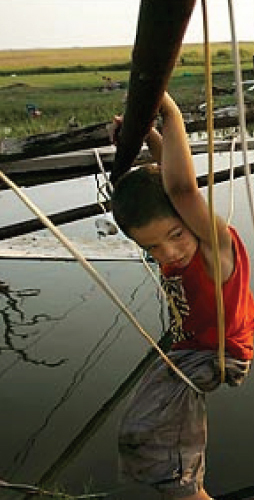 These factors have led tribal leaders to the tough decision to resettle the community to safer land farther inland. After more than a decade of hard work trying to keep the community together and acquire resources for community resettlement, in 2010 Chief Albert Naquin and tribal leaders began working with long-time partners at the Lowlander Center, an educational and advocacy organization started by hazard mitigation experts in Bayou Blue, to focus on resettlement as a community-based strategy of adapting to environmental change. 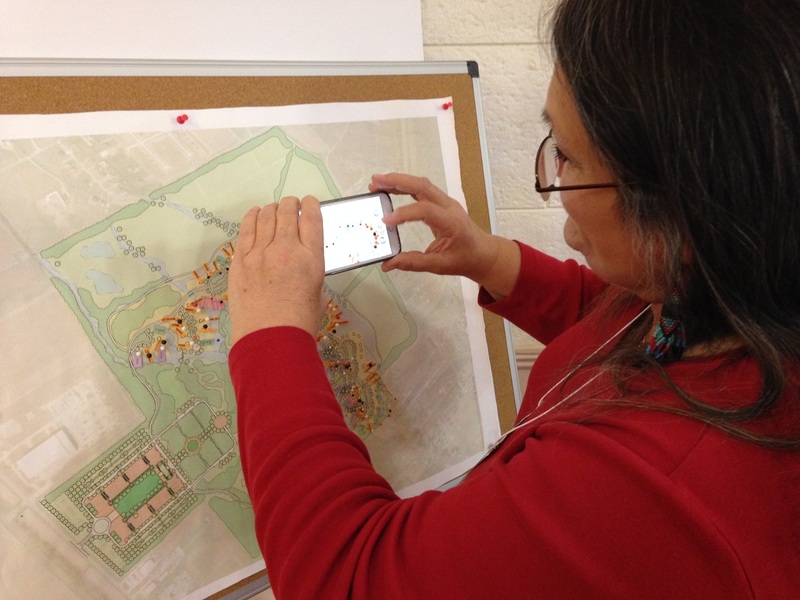 Together, Isle de Jean Charles and Lowlander Center have mobilized support for the tribe’s plans. They are working together to address the urgent needs of retaining community cohesion, rejuvenating traditional practices, engaging youth, and transferring experience to other coastal communities facing similar hazards associated with climate change. Finally, in January of 2016 the partnership acquired funds for resettlement through Housing and Urban Development's National Disaster Resilience Competition Grant. The Isle de Jean Charles – Lowlander Center Resettlement Project applies best practices from a number of international standards and legal frameworks to maintain a community-driven, culturally appropriate, and truly sustainable process of resettlement as a strategy for community adaptation to coastal hazards. The resettlement will become a living model of community cultural resilience, disaster and climate change mitigation, green building practices, environmental stewardship, and sustainable economic development.